We are invited to present a display of Yeovil Music Fanzines, sound installation and demonstration at the Performing Arts Library (2/F Yeovil Library) on Saturday 7th October 10am – 2pm. 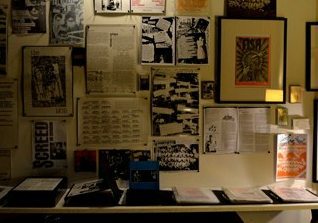 A display of the collection of Music Fanzines circulated in Yeovil from the 70s onwards. Original copies and artworks include All the Madmen, Feeding the Fish, Still Crazy, Human Debris, Qlique, Screed, Its Righteous, Evolver, ARKETINO, Plasmid, Sputnik, ARF, Fluffy and other one-off wonders. The collection has been created in 2015 with the generous contributions from the creators and collectors, lending their original copies and sharing their stories. We have since committed to look after this amazing collection and shared with the wider public on behalf of the contributors. 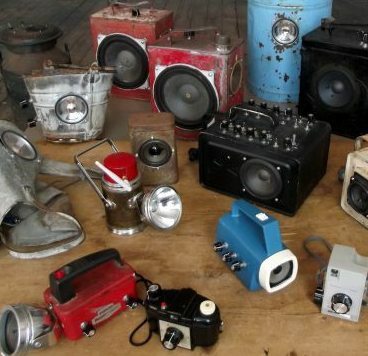 Come to see a display of ‘noise machines’ and have-a-go at the electronic build workshop. Drop in between 11am – 1pm, no booking required.